One of the things I do is get google alerts for such things as “uniforms,” “jerseys,” and “helmets,” among other things, and earlier this past week, I actually got an alert for an item that ran on Chris Creamer’s board, titled “Gotham Baseball Unveils New Logo“, by “Guest Author” (meaning they basically just took a press release and reworked it). Literally just as I was about to tweet the story, Mark Healey (who I know from several Mets’ QBC events) DMed me and asked if I’d seen the story. Now, Mark runs Gotham Baseball (which piqued my interest to begin with) and I also noticed that their new logo was designed by none other than UW pal Todd Radom. For those who are unfamiliar (which I assume is probably most of you), Gotham Baseball has been and is many things; a print magazine, a popular website and message board, a podcast, and a multi-platform product with a digital magazine and podcast component. But really, it’s a celebration of New York Baseball. The “past, present and future of the New York game,” according to the “About” section of their website. I’d checked out the online site a number of times, and there really is a lot of great stuff on there (the online archives go back to 2009). Yes, it’s primarily concerned with (as the name implies) New York baseball, but it is also a great resource for the baseball fan. I asked Mark if he could take me from the first logo up to the present, and he gladly obliged. The original concept artwork was very different from the sharp logo of today. After the original logo had outlived its purpose, Mark decided on a redesign. This time the focus would be more on the New York aspect. Never one to be satisfied, Mark decided that 2018 would bring the dawn of a new logo. And this time, he decided to use the immense talents of Todd Radom (who is not only a friend to UW, he’s designed the official logos for Super Bowl XXXVIII and the 2009 NBA All Star Game, as well as the graphic identity for Major League Baseball’s Washington Nationals, Milwaukee Brewers and Los Angeles Angels). I’m sure most of you are familiar with his work. 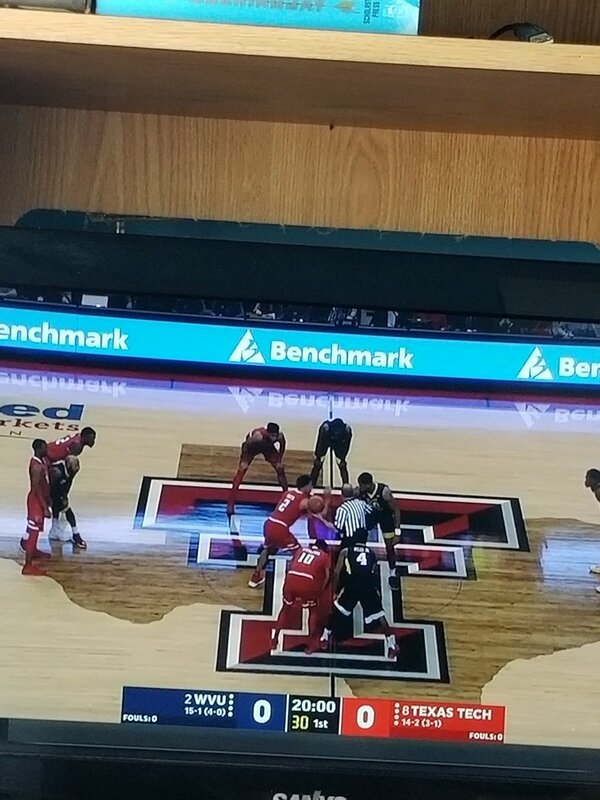 Uni Watch: This is a great looking design! I’m curious as to how much of this is original and how much was Mark’s (and Gotham Baseball’s) contribution. Did he provide you with sketches for this first, or did you look at the previous logo history and kind of update/reimagine the new logo After Mark first approached you about the new logo, how long did it take (roughly) from start to finish to create it? Todd Radom: The logo spun off of some additional components within the overall project. I’d say that the core part of the work took part over the course of a week and a half or so. UW: As far as logo redesigns go, was this one “easier” than the average one? TR: None are EVER easy, but knowing the subject matter as I do and knowing Mark made for a streamlined process. UW: Looking at the 2006 logos, before you came on board, I think these were pretty solid. Did having a strong identity like this make it easier or harder or come up with a reimagining? TR: The original art needed some finessing — it really needed to be made less dimensional for versatile usage more than anything else, but yes, it represented a solid foundation to move forth from. There was existing brand equity here, so the new work really was an evolution off of what already existed. UW: The colors are (obviously) navy, white and orange (taken from area baseball teams) and the “G” derives from the New York Giants — a pretty great template to begin with. Did you (even if you could) ever have thoughts about tweaking those colors or did you find them an excellent palette to begin with? TR: A great palette with deep resonance and great contrast. UW: Was it your idea to change the logo from an oval to basically a roundel? Any reason for this (without giving any industry trade secrets)? TR: Sometimes the best solutions are ones that don’t overthink the problem. Round logos allow for an expansive and intelligent use of real estate, and that was the case here. UW: Did you add the bats and stitching into the logo? Since the logo already reads “Gotham Baseball” do you think those added elements provide for a stronger ‘brand’? I think this would allow the logo to be used without the words — the “G” and baseball elements provide a strong visual cue that, ‘hey, this is a baseball team/logo’. Will that be an option (for say, a secondary logo)? TR: I did add those elements. They provide context to the “G,” but they also serve as visual ballast and help lasso it in, a structural thing. At this point, you’re probably saying (if you’ve gotten this far) “OK, so what’s the deal with the splash photo? That looks like a baseball cap with the logo. But they don’t have a team or uniforms or anything.” Well, while discussing this with Mark, he let me in on a little secret — there WILL be uniforms. “YES there are unis involved in this current project,” says Mark, “but it’s very hush, hush at the moment…Todd designed THREE different sets (home and away for both).” Unfortunately, while the unis are designed, they’re not ready for prime time yet. But when they are, you can be sure we’ll show them here. Are they great? Uni Watch: OK — now on to the REALLY good stuff — I know Gotham isn’t ready to reveal the uniforms (yet). But I understand you also designed them from sketches provided to you by Mark. Can you talk about the design process without really giving anything away? Todd Radom: That was really fun—imagining how this “team” would have evolved over the course of time, looking at historic reference and executing the art with all of that in mind. This is right in my wheelhouse, a combination of knowledge, research, and execution. I think that everyone will really enjoy the results. UW: How close will the uni designs be to what is actually produced? TR: We will see — as always, the manufacturing process often drives the process forward in pragmatic fashion. UW: Was this a fun redesign for you to be a part of? TR: Absolutely! I am a native New Yorker with a love and appreciation for baseball and history and design and have been since I was a kid. Pure serendipity. So how great is that? I don’t have an ETA on when we’ll get to see the unis, but as soon as they’re ready, I’ll happily share them with you guys. Finally — and anyone who has ever attended a Mets QBC (“Queens Baseball Convention”) will know, Mark’s dad bears an uncanny resemblance to (now former) Mets skipper Terry Collins. He even dresses in Mets gear when he attends the event, fooling a bunch of folks along the way. The QBC is next weekend at Katch Astoria. Sadly, Paul, Todd and myself, who have formed a portion of the “Uniform Panel” (chaired by Paul) and been at every QBC since its inception, all have separate plans and won’t be there this year. But Mark will be back this year, hosting his “State of the Mets” panel. Hopefully a few readers will be in attendance and can check it out — if you see him, make sure to pepper him with a few questions about the new logo and unis! Big thanks to Mark and Todd for all their insights into the new logo here. Earlier this week I was on NFLShop.com seeing if I could order an Antonio Brown jersey with his college number (27) instead of his normal 84. I mainly wanted to see a mock-up, which I guess NFLShop.com no longer has for customized jerseys. 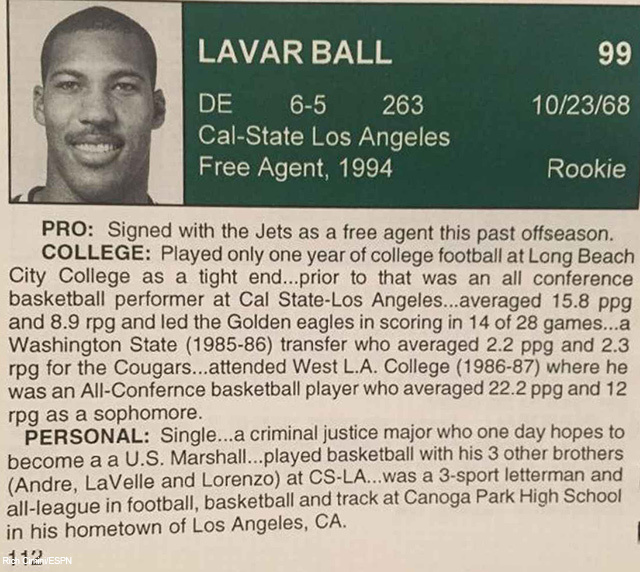 That led to me thinking: what if NFL players coming out of college were allowed to wear their college numbers in the pros and weren’t forced to go by the NFL’s rigid numbering system? Even though the NFL has loosened up the rules quite a bit since the current system went into effect in 1973, they’re still more rigid than any other sport and certainly more rigid than all other levels of football. • Only players that have played in the league since 1973. Players before that obviously had more leniency on numbers and were grandfathered well into the 1980s, so they’re excluded. • Offensive lineman are still stuck with numbers 50-79–consistent with all levels of football for ineligible receiver-based reasons. Honestly, lineman should be the only ones IMO consigned to certain jersey numbers due to that requirement: skill position offensive players and all defensive players should be allowed to wear whatever jersey number they want as long as it is available. • No retired numbers or “unofficially retired” numbers, as well as numbers already taken by an active player on the roster that would otherwise fit within the number grid. Start with AB. Business would be boomin’ with 27. At the time he was drafted, 27 was being worn by cornerback Joe Burnett, so let’s say Brown goes with 84 for training camp. Burnett ends up being cut during the final cutdowns to 53 players, so Brown picks up 27 at that point. The rest, they say, is history. Hines actually wore 15 during his rookie training camp and preseason before switching to his more familiar 86 at the start of the season, with Andre Coleman having had 19 the year before. (Note: this was six years before the NFL allowed wide receivers to wear numbers 10-19, Keyshawn Johnson aside.) Coleman by this point had switched to 83 (his number with the Chargers), so I’m not sure why Ward wore 15 instead of 19. I can guarantee you that if he would have been able to wear it, the current holder of 19 (rookie sensation JuJu Smith-Schuster) would be wearing a different number, seeing that 86 is now among the many numbers now out of circulation for Steelers greats. Dave Dureson had 22 locked up when Flutie went to the NFL with the Bears, but wouldn’t it have been fun to see him wear it in New England or Buffalo? 22 was available when Flutie was traded to the Patriots, as well as when he returned to the NFL with the Bills. Even today, it’s rare to find quarterbacks in college that wear a number higher than 19. Fitzgerald adding another 1 to his jersey with the Cardinals was an easy fix, but seeing that he is one of the all-time great receivers (and a class act at that off the field), wouldn’t 1 be fitting for him? I’d say Woodson would look pretty sweet wearing number 2 in the NFL. Even though he was with the Packers by the time the team drafted JaMarcus Russell, I’m sure Mark Davis would have no qualms with him wearing the number in his 2nd stint in Oakland, unlike, say…Terelle Pryor. OK, this number would be allowed today. But not only was it not allowed when Taylor entered the NFL in 1981, numbers 90-99 weren’t even allowed by the league AT ALL. Nonetheless, he DID wear it during his rookie preseason before being forced to switch to 56 at the start of the season. The NFL started allowing defensive lineman and linebackers to wear 90s numbers in 1984, but by this point LT was too well-known to be making a mid-career number change. If we could only see him ending Joe Theismann’s career in number 98 instead of 56. OK, so the recently-retired Bush did try to petition the NFL to allow him to wear number 5, but failed and had to settle for 25. Ironic since he ended up wearing multiple jersey numbers afterwards–many without a 5 being a digit–and at least in Buffalo would have been wearing a different number anyways due to Tyrod Taylor already wearing number 5. OK, this is more of a joke, and it does violate one of my rules since Reed was signed by the Steelers mid-season and 45 was already worn by fan favorite Chris Fuamatu-Ma’afala at the time. But, kickers and punters do tend to wear the least desirable numbers in college and I’m pretty sure Sheetz employees don’t have to worry about Fu’ vandalizing a men’s room paper towel dispenser. 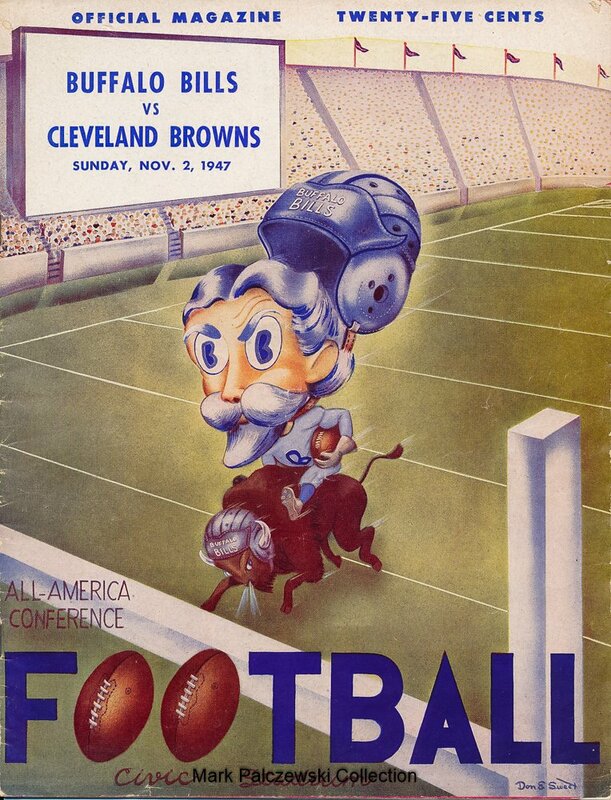 It’s too bad the NFL banned leaping over players at the line of scrimmage. Arrington’s specialty wouldn’t work today. But, wearing number 11 with the Potomac Drainage Basin Indigenous Persons would look pretty sweet, with all due respects to Mark Rypien. Too bad he would’ve had to change his number in New York since an obnoxious NFL studio analyst for CBS has that number retired. I’m sure there are more. 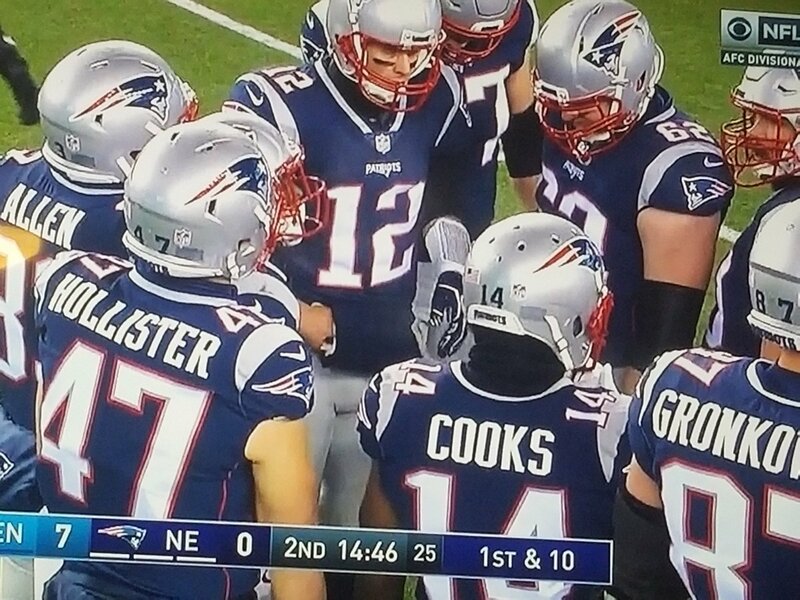 Do you think we could have these numbers photoshopped onto these players? Paul forwarded to me this awesome e-mail from UW pal Marty Hick, whose beautiful daughter just celebrated her 5th birthday. Probably because of her room colors and the cheep hat we scored at Ross Dress for Less, the Dolphins are Clara’s favorite team. I give to you… Uwe Von Schamann. Baseball News: The Canton (OH) Repository ran an article on a local man creating wallets from old baseball gloves (from Tom Pachuta). 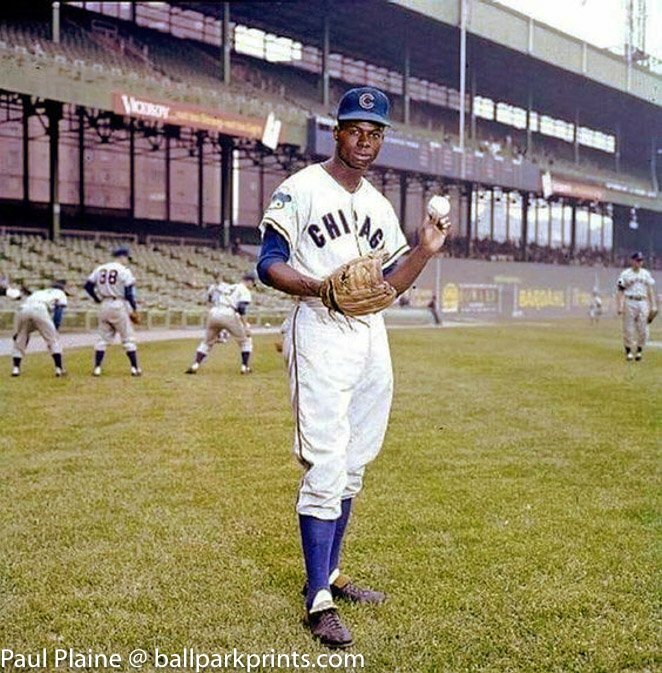 … Check out this absolutely gorgeous photo of Lou Brock as a Cub (photo taken & sent in by Paul Plaine). 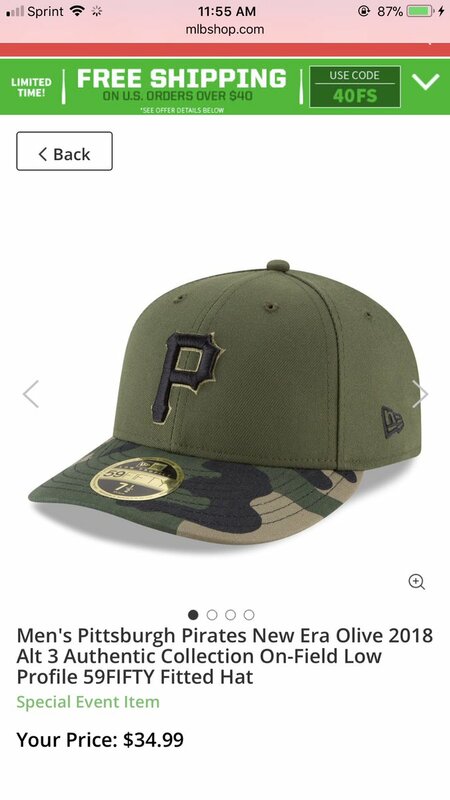 … Here’s a good look at the Pirates new alternate jersey for 2018 & the matching hat (from Robert Hayes). … CROSSOVER ALERT: The Houston Astros’ Tony Kemp was rocking a Tennessee Titans beanie at Astros FanFest yesterday (from Ignacio — also posted in NFL). … Hah — check out this TV uniform action, courtesy of “The Greatest American Hero”. California Stars versus the Oakland Mets, in Dodger Stadium (from Shawn Hairston). Justin Hicks. … After the Eagles defeated the Falcons yesterday, Tony Dungy visited the Eagles locker room and his son was wearing an inside out Colts champs beanie (from Kyle). 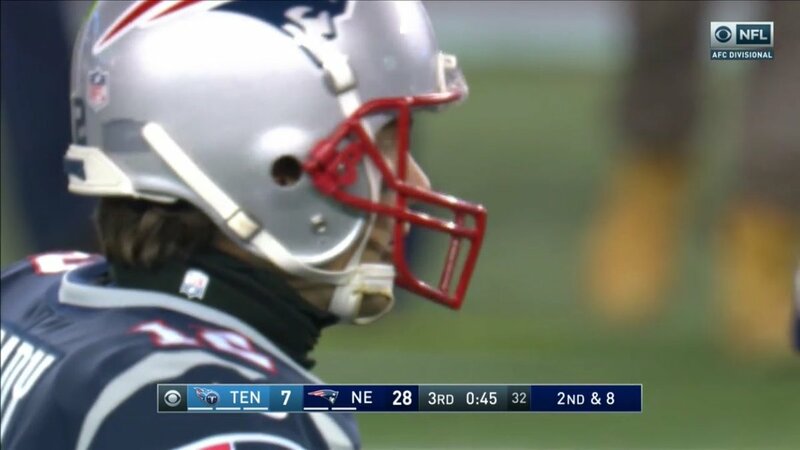 … Tom Brady wore a turtleneck with an upside down NFL logo (from John Bedell). 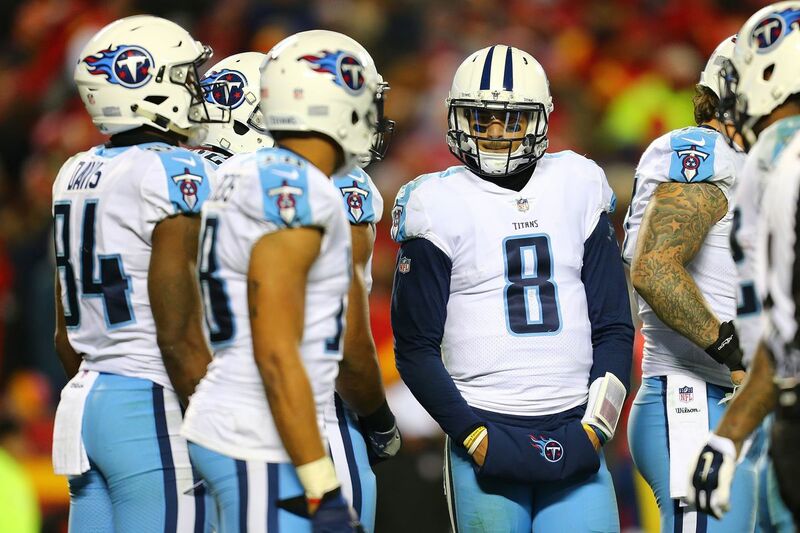 … Finally, we bid farewell to these Titans unis, as they’ll be getting a new set next season (from @AtoZSports). I was never a fan of these unis (combined to much modern — the helmet stripes, shoulder yokes, numbers — with old). But I did really like that combo. Hopefully whatever they get in their redesign will include the white tops over light blue pants. College Football News: College Football season may have “ended” last Monday with the National Championship Game between Alabama and Georgia, but yesterday the Akron Zips introduced a “Z-bar” facemask — I guess it’s legit (it comes from the Akron Zips Equipment twitter account). Any helmet/mask guys know if something like this is even legal? (Update: the mask is for display/recruiting purposes only, as I’d suspected. The Zips Equip then followed up with this humorous tweet.) 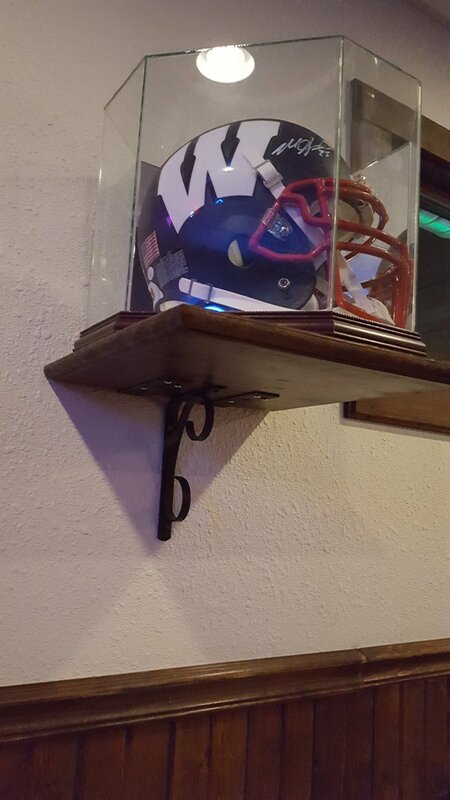 … Tweeter @TheTDJ saw this black Wisconsin helmet in a restaurant yesterday. “Not a great look,” he notes. Hockey News: The US Hockey NTDP (National Team Development Program) has revealed Star Wars Inspired Jerseys — Team USA unveils Darth Vader themed jerseys for a January 20th event (from @bturner12387). Here is some more on that, plus more photos. … CROSSOVER ALERT: Yesterday the San Jose Sharks wore Golden State Warriors-inspired sweaters during warmups (also posted in NBA). There were also some crossover logos (from Alex. NBA News: The Charlotte Hornets turn 30 this year. Looks like they have a special new logo to commemorate the occasion. 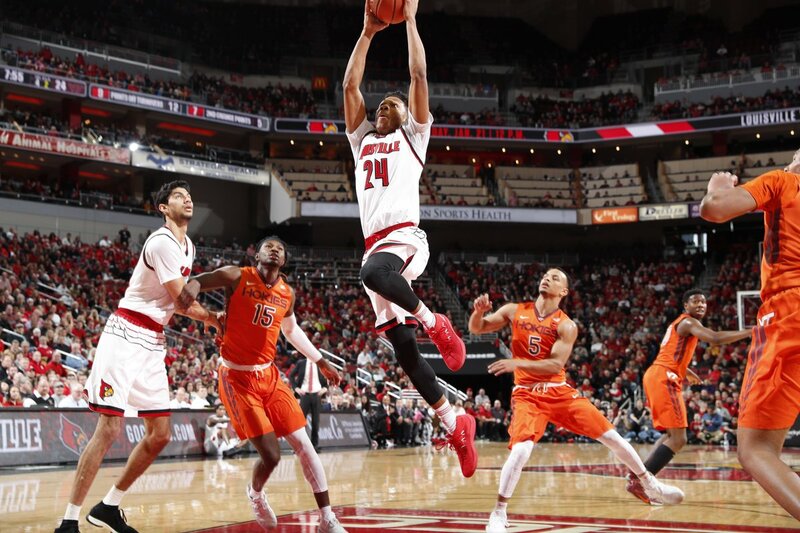 They’ve got a whole bunch of stuff planned, including news that “team will also reveal a ‘Classic Edition’ uniform before the 2018-19 season to wear for certain games,” (from Brad Solomon). … The Memphis Grizzlies will celebrate Dr. Martin Luther King, Jr. Day (this Monday) when they break out their awesome City alternate uniforms. Here’s an interesting article that details the Griz’ & Memphis connection. “The Memphis Grizzlies do not stick to sports. They have never stuck to sports. They were not brought here to stick to sports. 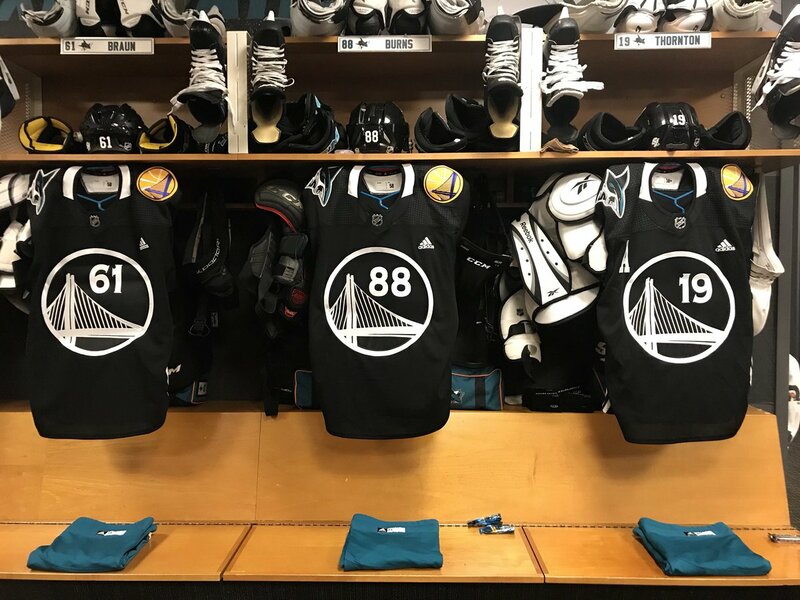 They may be the only major league team whose very existence was inspired by the desire to deepen racial understanding in a community.” … CROSSOVER ALERT: Yesterday the San Jose Sharks wore Golden State Warriors-inspired sweaters during warmups (also posted in hockey). There were also some crossover logos (from Alex. 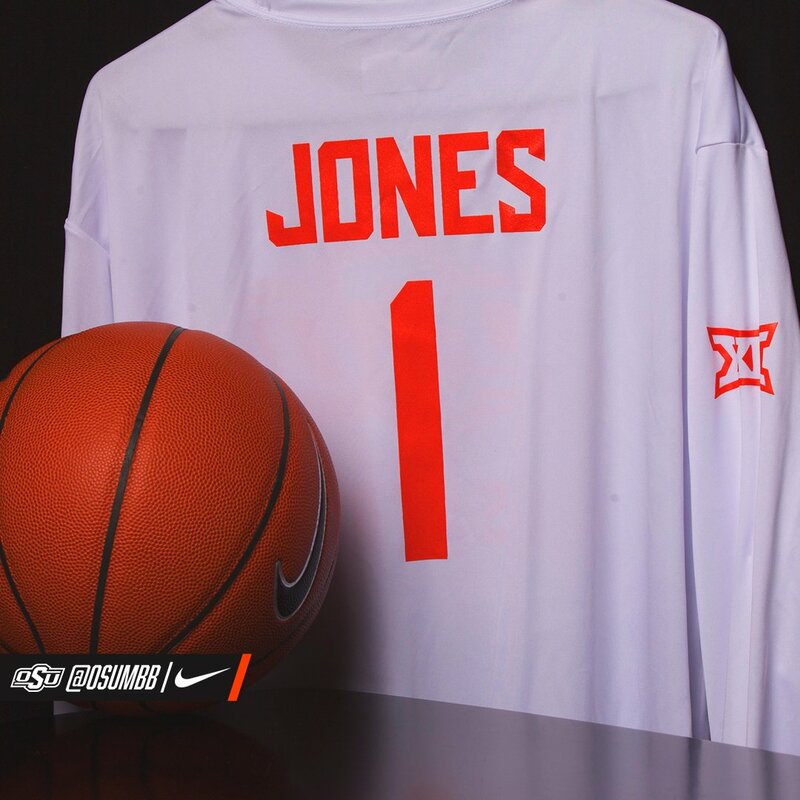 these special shooting shirts in honor of Texas guard Andrew Jones. They added, “We’re behind you all the way, Andrew!” (from Rob Gimlin). … San Francisco State debuted new purple unis last evening. Soccer News: Here’s a look at the kits to be worn in the Premier League for this weekend (from Josh Hinton). This includes some that were worn yesterday, as well as Sunday-Monday. Grab Bag: The Adelaide Strikers and Perth Scorchers teams in the BBL and WBBL T20 cricket competition wore indigenous-themed jerseys for their games at Tregear Park, Alice Springs (from Graham Clayton). 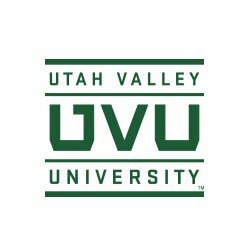 … When good logos go bad: From Patrick Thomas, “alright this UVU logo has been bugging me for a bit. The first U is supposed to look the state in the negative space which is brilliant…but the other U is not even the same U….and it’s so annoying.” … Ollie Schniederjans is playing in his first 2018 PGA Tour Tournament, the Sony Open in Hawaii, and he still isn’t wearing a hat or visor, notes Zach Loesl. (This is odd for a couple reasons:  golfers almost always wear something to deflect the sun, even when it’s not sunny and  that is prime real estate for a sponsor logo). Also from Zach, John Peterson was wearing a camouflage hat in the Sony Open. And A Quick Note From Jimmer Vilk: All gifts from the Vilkmas Raffle will be going out into the mail this week. That “m” in Gotham is embarassing. The connection to the decending line underneath needed another round of refinement. Particularly a loop or something more natural. Totally unnatural connector. The “G” is nice. 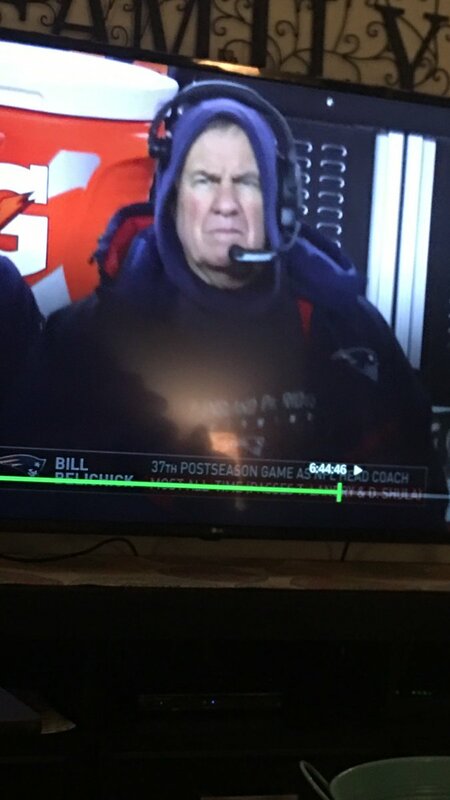 Immediately thought of the Giants. That’s the outgoing logo anyway. Players were allowed to wear numbers between 90-99 prior to 1984. Dan Hampton and Al Harris were drafted by the Bears in 1979 and both wore numbers in the 90s from their rookie year forward (99 for Hampton and 90 for Harris). Mark Gastineau (99) and Marty Lyons (93) wore their numbers well before 1984. 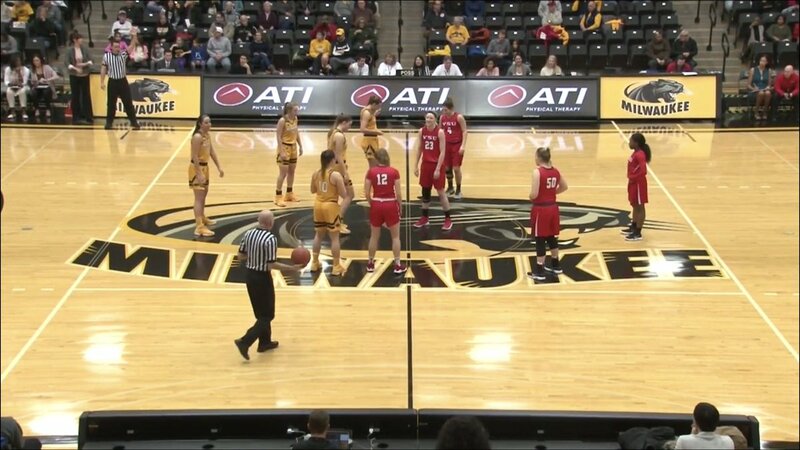 Those TV uniforms raise important questions, such as, Why aren’t more teams named after Woody Guthrie songs? and, Who is broadcasting “Greatest American Hero” episodes and why wasn’t I informed? Why is a US national team of any sort wearing commercially themed jerseys? It’s one thing for some minor for-profit team to wear unis promoting a commercial product, but Star Wars uniforms on a team representing the United States are simply inappropriate. Doubly so, since Darth Vader is a villain. This country was literally founded by farmers turned rebels who fought and defeated an actual empire. You want to dress Team USA in Star Wars jerseys? Then you dress them as Luke Skywalker or Princess Lei or Han Solo or Rey or Finn or Po, not Darth freakin Vader. Dude was a villain who murdered children, committed genocide, was really bad at his job in the original trilogy and was shown to be really stupid in the prequels. While one could draw some parallels with American history (and, ahem, current events), those aren’t the stories you tell with national-team uniforms. I wonder why these movie-inspired uniforms don’t often mimic the uniform/outfit of a character, rather than being just a shirt with a picture of the character. That’d be more effective/interesting. That is, if they insist on doing these silly outfits at all. 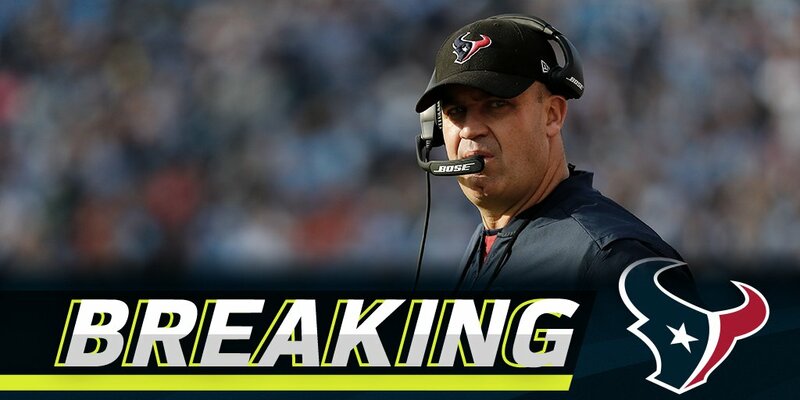 It’s pointing to something about the Houston Texans…. Should be fixed now. But click here if you don’t want to scroll back up. Thanks for fixing…that photograph even makes the Polo Grounds look gorgeous. Nice new logo. Congratulations on the new look. In re the Bill O’Brien black hat complaint—- check out the Vikings staff today— every time I’ve seen them this year, they’re wearing black. No purple hats for them. 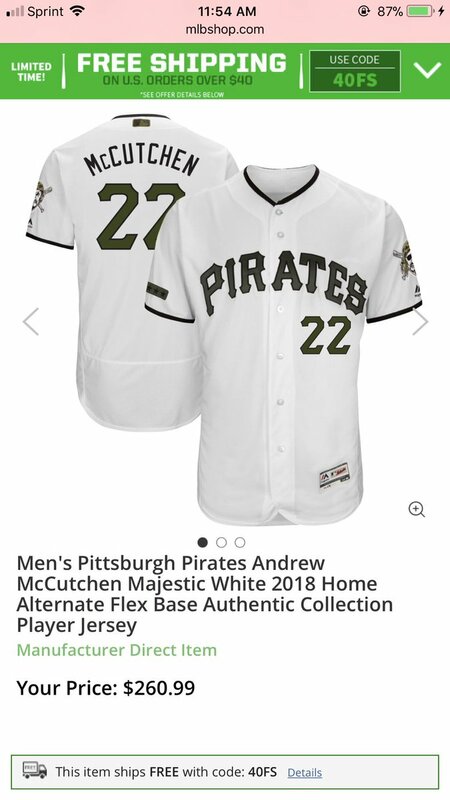 Only thing worse than that Pirates alternate jersey is the price ($260.99). There are plenty of things worse than that jersey, like owner Bob Nutting. MLB needs to use their “best interest in baseball” clause to force him to sell the team. Of course they won’t, but they ARE using it to force the Cleveland Indians to eventually drop Chief Wahoo. Leave Wahoo alone and force Nutting out of baseball. Phil, I wasn’t expecting you to post that right away (if at all), was more or less submitting it to see if someone wanted to photoshop those players with their college numbers into the NFL, that’s all. But yes, the NFL does need to relax their jersey number rules if not eliminate them outside the offensive lineman. 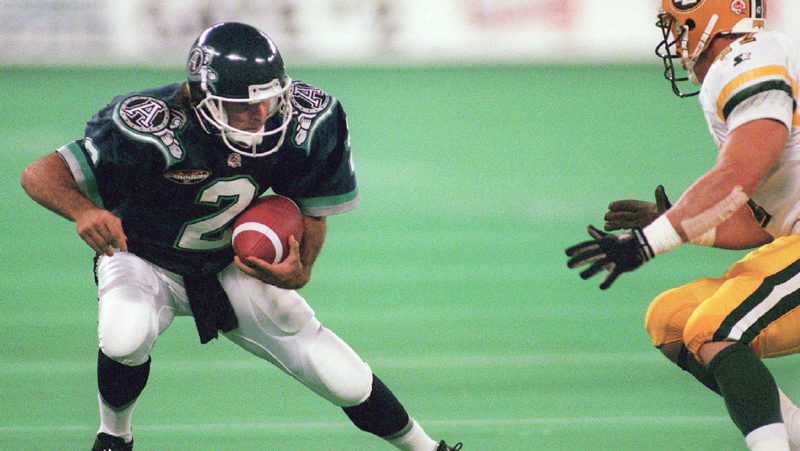 Regarding Doug Flutie wearing number 22, he played for 3 different teams in Canada but only able to wear the number 22 once. Nice find. I was mostly focusing on the NFL, of course, but good to see that the CFL is more lenient. 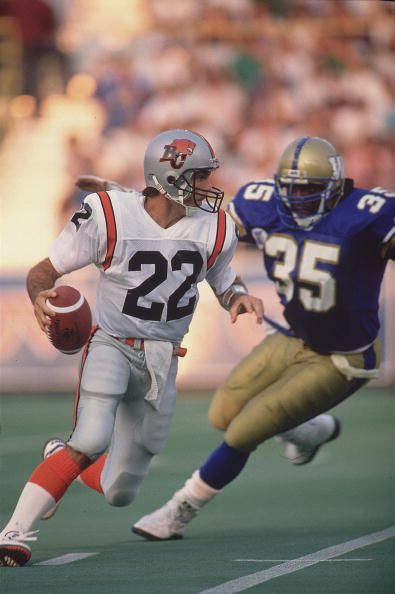 Flutie, of course, also wore #22 in the USFL. I’m curious why the latest Gotham logo doesn’t have anything related to the Dodgers? Mark Healey mentioned about an earlier re-design…“This time around, I wanted an element from every team in the design: the navy (Yankees), orange (Mets), Dodgers (the tail) and Giants (the G, from the 1951 Giants logo).” This new logo has the navy from the Yankees, orange from Mets (& Giants), and G from the Giants. Am I missing something? I like the navy and orange, but seems like there should be some royal blue included, considering both the Dodgers and Mets have it. When you see the final unis, there will be a tail to rep the Brooks. The royal blue point is a good one, but even in the beginning, everything we did with royal blue made it look too Mets. I have a plan that might work, but that’s down the road. Thanks for the feedback! The Sting continued to exist during that period, so technically Charlotte has had 30 unbroken years of professional basketball. True, but only if you count that Bobcats team that won nine games as “professional”. Or even “basketball” really. 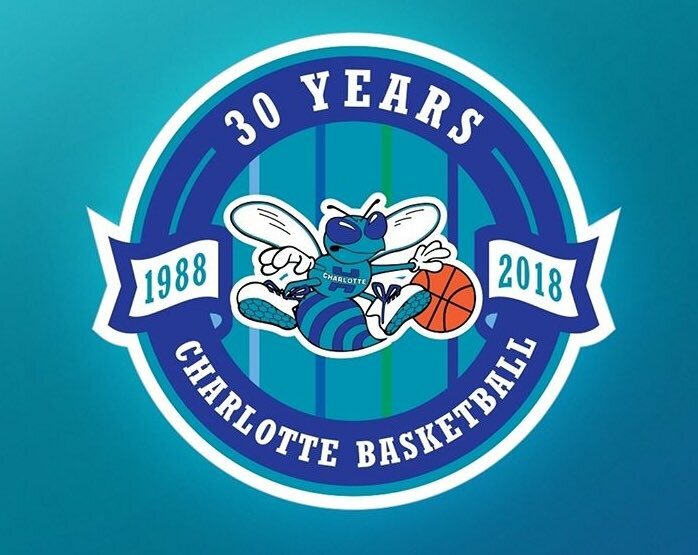 Agree that it’s weird, but technically it is the 30th anniversary of the NBA coming to Charlotte, as opposed to the franchise’s 30th season. An anniversary commemorates something that happened [X] years ago, nothing more. It is strange, but as long as the Hornets get to wear their throwback unis like last night – then I am pleased. It kind of reminds me of the 40th anniversary season held in my city for the Vancouver Whitecaps in 2014. – NASL Whitecaps last season was 1984 before closing up shop. – A pro soccer team did not re-emerged until 1987 season. They were the Vancouver 86ers and did not change their name to the Whitecaps until 2001 season. The 86ers/Whitecaps organization played in a number of second tier leagues until 2010. – The present Whitecaps are really a 2011 MLS expansion team. They kind of just lumped it all together. Would like to see some of the older numbers which aren’t “allowed” carried forward…A lot of interesting numbers at wideout (20’s and 40s) QB, and O/D Line. On that 49ers link, last photo, holy cow to the spacing on “MC COY” for the Packers. re: UVU logo – I blame the Vikings and their two sets of typefaces to make one uni number. … I decided to make a slight tweak to the Hornets’ anniversary logo. Trying it again, because I apparently derped up the code. Charlotte Basketball is 30 years old. This franchise is not. 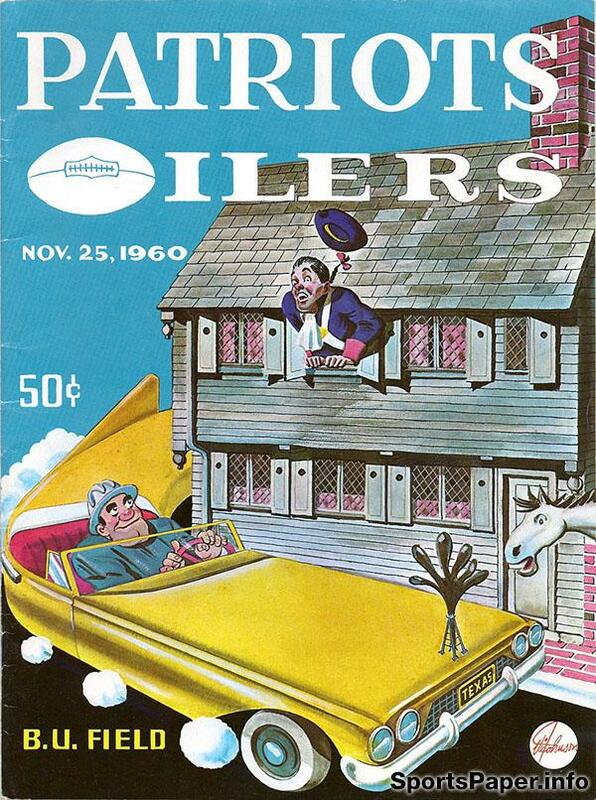 completely unrelated- If the Jags and Vikings meet in the Super Bowl, would it be the ugliest super bowl ever?